Turquoise Jewelry. 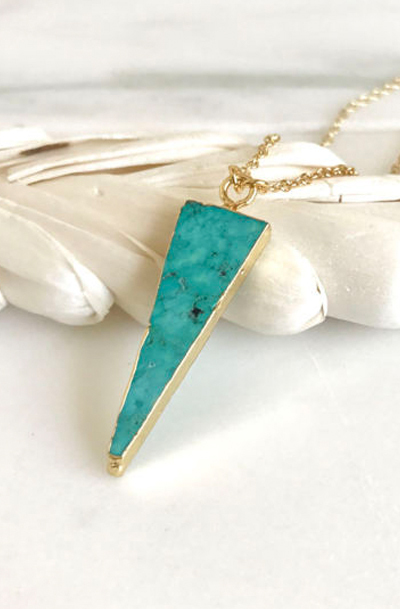 Long Turquoise Triangle Pendant Necklace in Gold. Turquoise Arrow and Gold Stone Geometric Necklace. Jewerly Gift. Simple Jewelry. Layering. Elegant and simple yet bold in style.